I’ll be honest, I’m not normally a big fan of marshmallows. 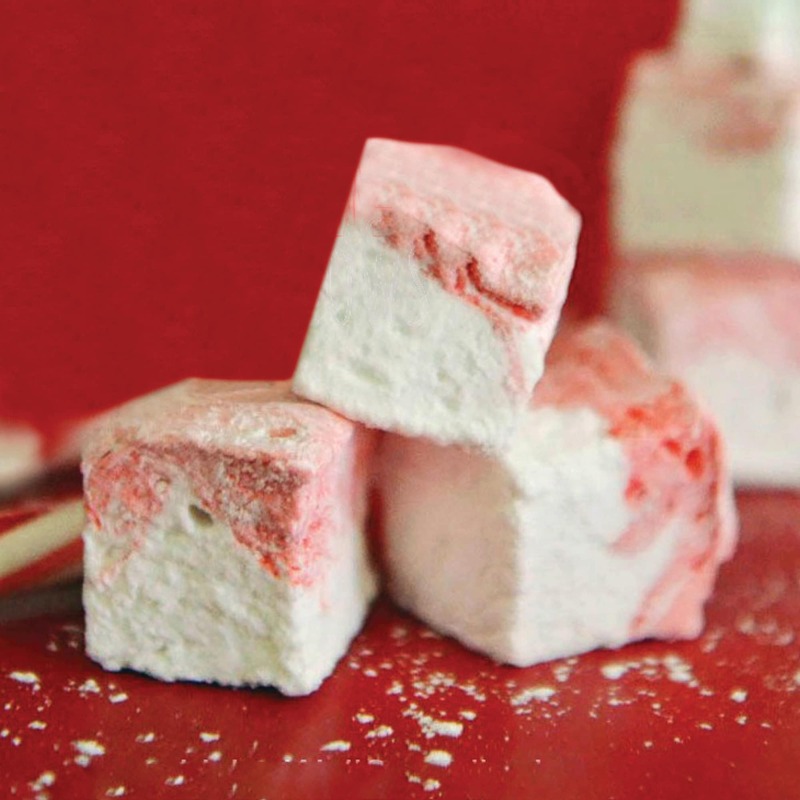 My girls, on the other hand, can’t get enough of them, and when I saw they were charging $16.95 at Williams Sonoma for a box of 15 hand crafted peppermint marshmallows, I knew I had to figure out how to make these lil’ puppies. And friends, let me tell you, homemade marshmallows are so, so, so, soooooooo much better than the store-bought kind. They can hardly even be called marshmallows. They should instead be re-named Sweet Nuggets of Heavenly Peppermint Fluff. Or something like that. Even better, they are SO easy to make! 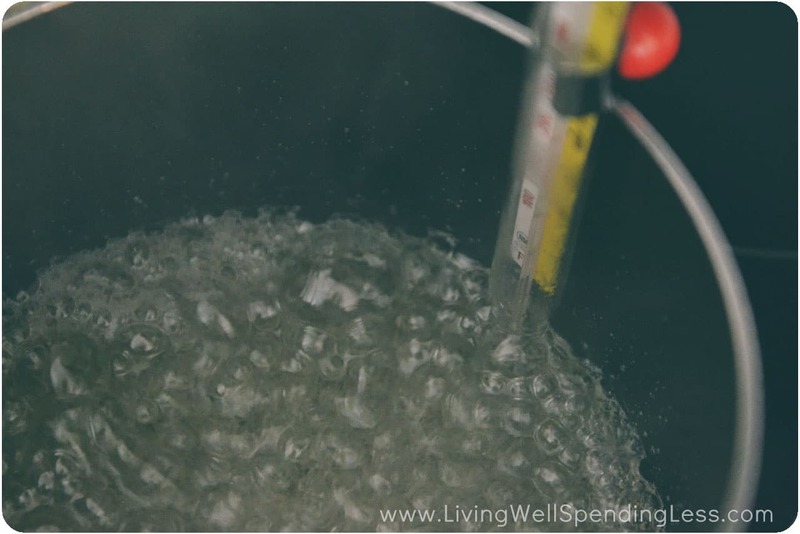 Yes, you need a candy thermometer, but don’t let that scare you. I promise it’s not complicated or tricky. Like, at all. 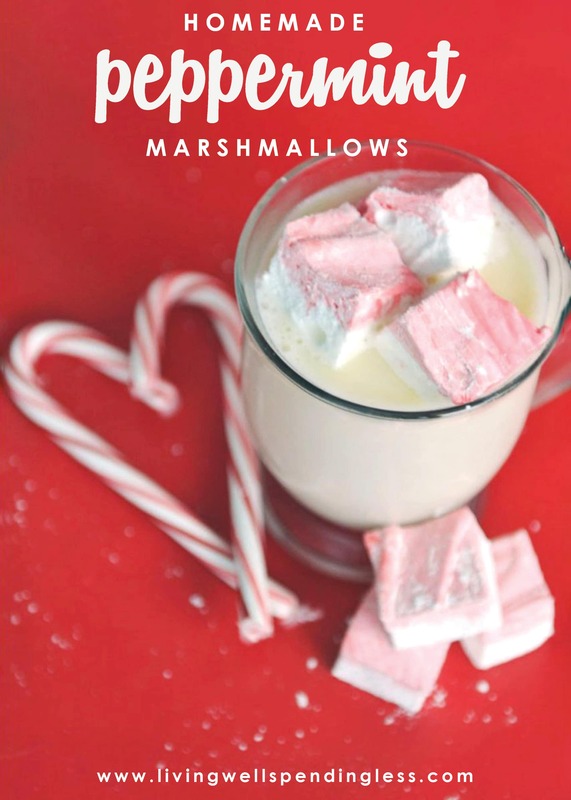 Plus a single batch makes approximately 88 marshmallows, which would sell for $99.44 at Williams Sonoma. Why not make them for all your friends and be a hero this Christmas? 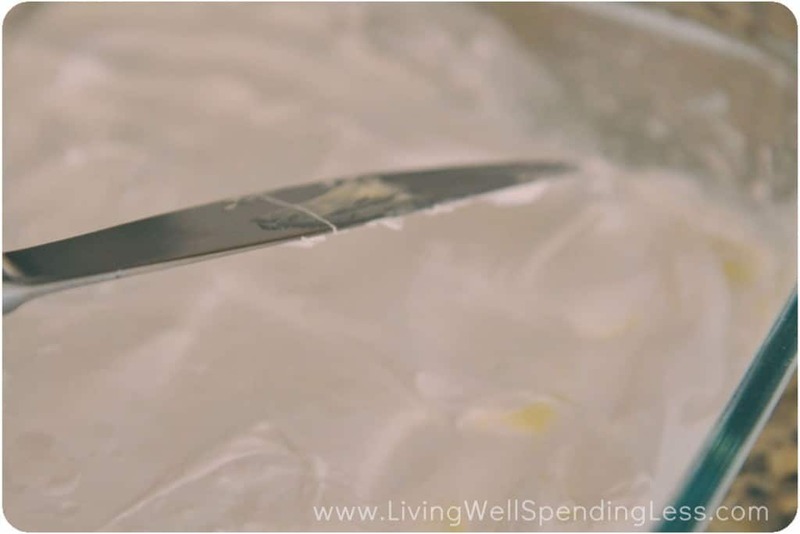 Step 1: Grease 9 1/2 x 11″ glass casserole dish with butter or Crisco. Mix together corn starch & powdered sugar; sprinkle a few spoonfuls of cornstarch mixture over butter or Crisco and tilt dish around until well coated. Set baking dish aside and save remaining corn starch mixture for later. Step 2: Place gelatin and 1/2 cup ice water in the bowl of a stand mixer; set aside. Step 3: Mix remaining water, sugar, salt, and corn syrup in saucepan; heat, covered, over medium-high heat for 3-4 minutes. 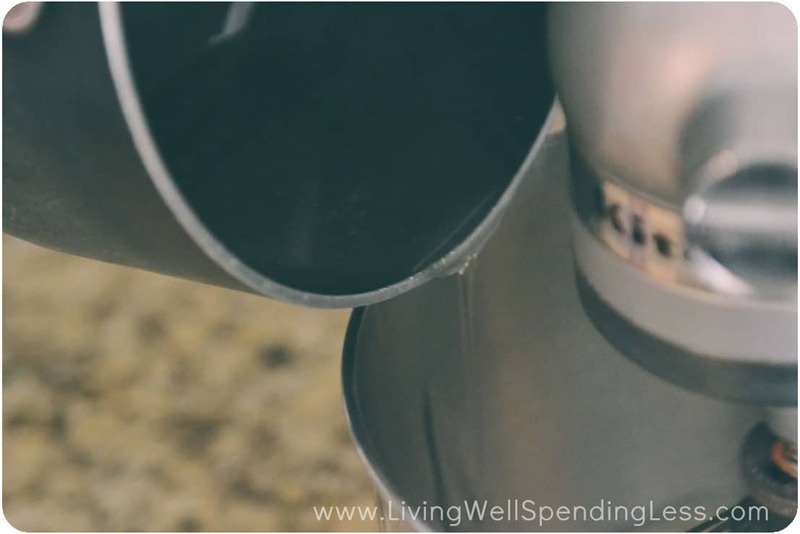 Step 4: Clip candy thermometer to side of saucepan; continue heating mixture until it reaches 240 degrees, approximately 6-8 minutes. Step 5: Once mixture reaches 240 degrees, remove from heat. 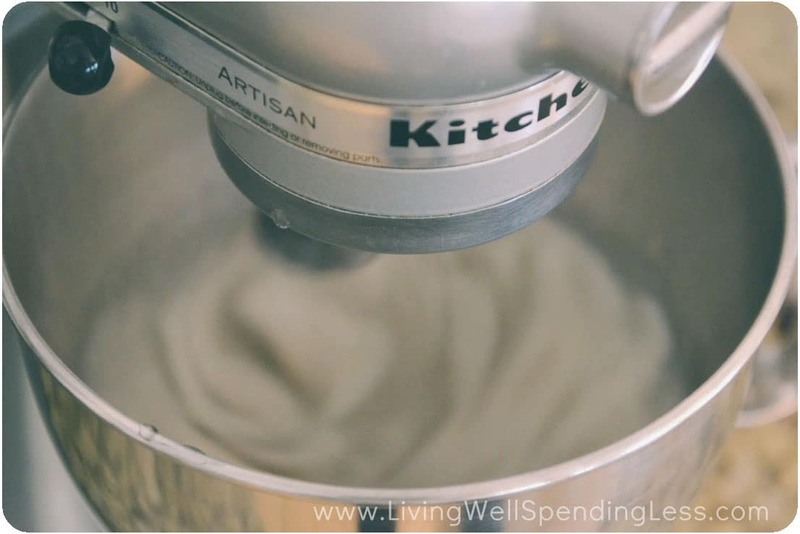 Turn on mixer on low (use whisk attachment) and slowly add syrup mixture to mixing bowl. Step 6: Turn mixer to high speed and whip for 12-14 minutes, until mixture is quite thick. Add peppermint extract and whip 1 minute more. Step 7: Grease a spatula with butter or Crisco and transfer marshmallow mixture to prepared dish. Use a buttered knife to spread it smooth. 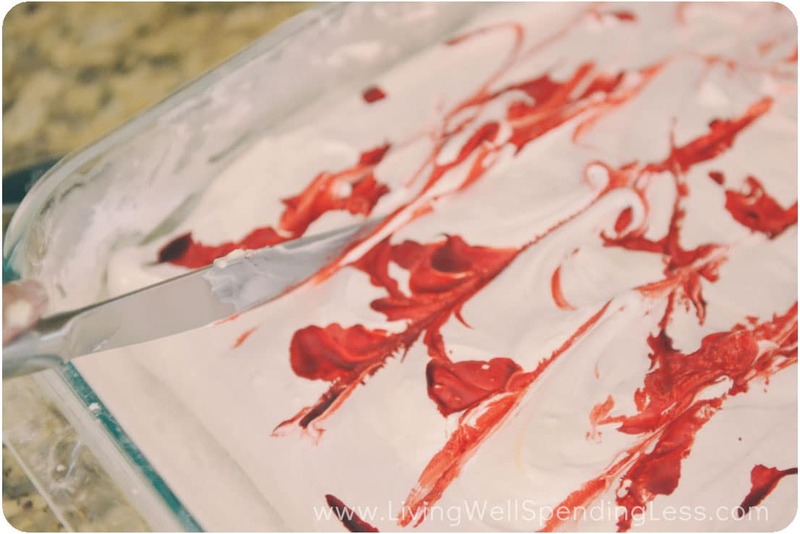 Step 8: (Optional) Drop red food coloring onto mixture and use buttered knife to pull color through marshmallow mixture to create swirls. Step 9: Generously sprinkle the top of marshmallow with remaining cornstarch mixture. Let set overnight. 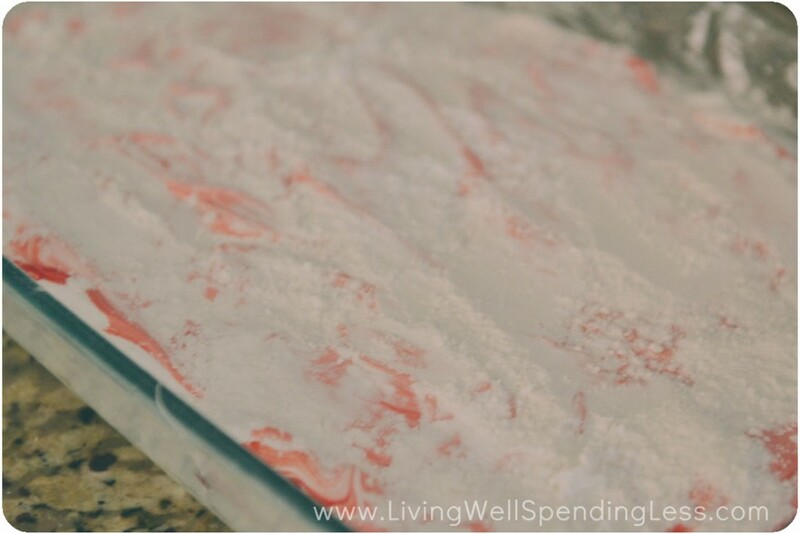 Step 10: Invert marshmallows onto a cutting board. Use butter & excess cornstarch mixture to coat sharp knife or pizza cutter blade, then cut marshmallows into 1×1″ squares. Step 11: Coat cut edges with cornstarch/powdered sugar mixture & wipe off excess. Serve in hot chocolate or package in cellophane bags to give as gifts. 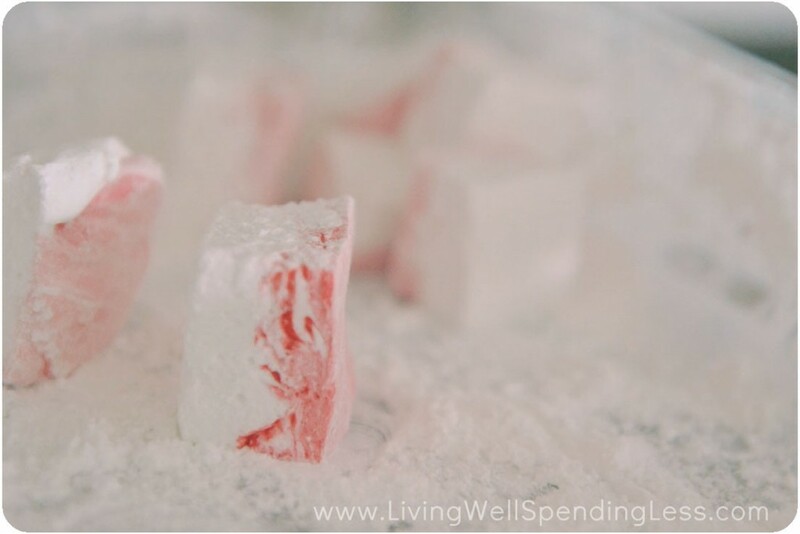 These homemade peppermint marshmallows are a fun twist on the ordinary marshmallow. The perfect addition to a cup of hot chocolate. Grease 9 1/2 x 11" glass casserole dish with butter or Crisco. 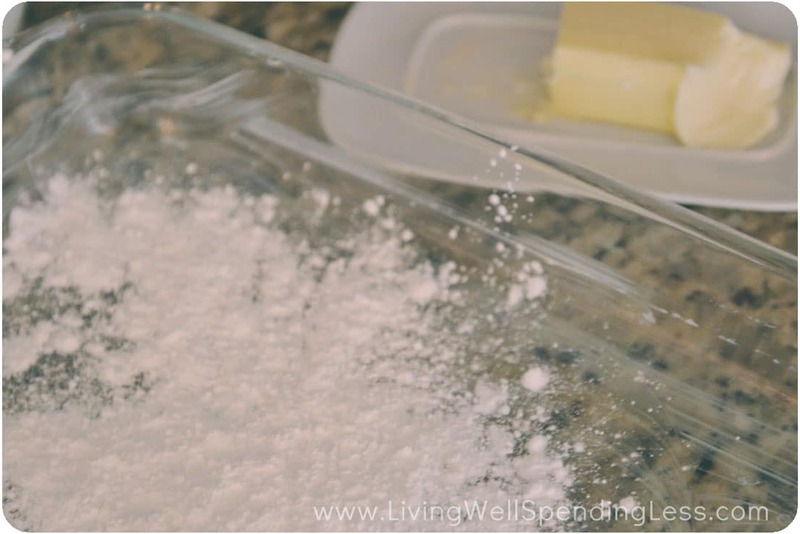 Mix together corn starch & powdered sugar; sprinkle a few spoonfuls of cornstarch mixture over butter or Crisco and tilt dish around until well coated. Set baking dish aside and save remaining corn starch mixture for later. 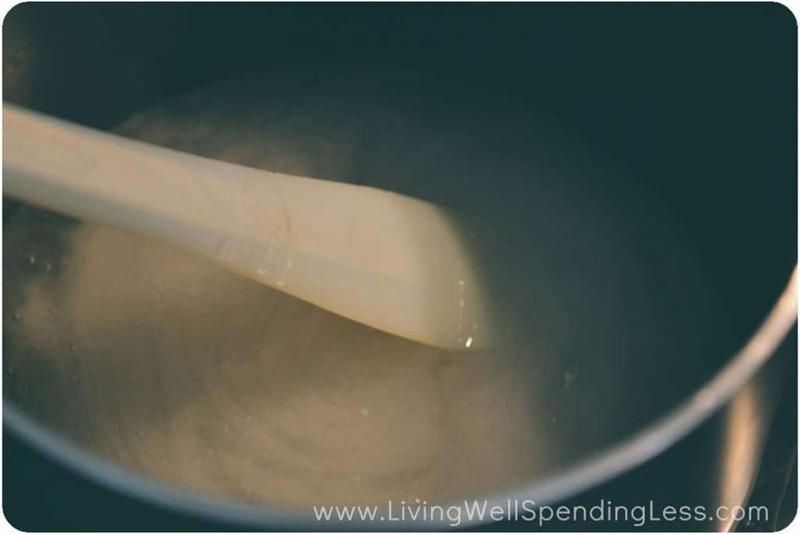 Place gelatin and 1/2 cup ice water in the bowl of a stand mixer; set aside. Mix remaining water, sugar, salt, and corn syrup in saucepan; heat, covered, over medium-high heat for 3-4 minutes. Clip candy thermometer to side of saucepan; continue heating mixture until it reaches 240 degrees, approximately 6-8 minutes. Once mixture reaches 240 degrees, remove from heat. Turn on mixer on low (use whisk attachment) and slowly add syrup mixture to mixing bowl. Turn mixer to high speed and whip for 12-14 minutes, until mixture is quite thick. Add peppermint extract and whip 1 minute more. Grease a spatula with butter or Crisco and transfer marshmallow mixture to prepared dish. Use a buttered knife to spread it smooth. (Optional) Drop red food coloring onto mixture and use buttered knife to pull color through marshmallow mixture to create swirls. Generously sprinkle the top of marshmallow with remaining cornstarch mixture. Let set overnight. Invert marshmallows onto a cutting board. 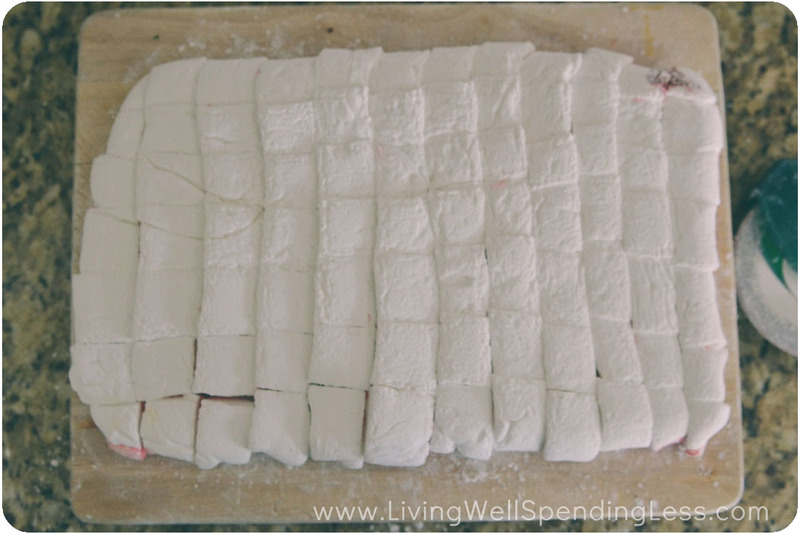 Use butter & excess cornstarch mixture to coat sharp knife or pizza cutter blade, then cut marshmallows into 1x1" squares. Coat cut edges with cornstarch/powdered sugar mixture & wipe off excess. Serve in hot chocolate or package in cellophane bags to give as gifts. Do you think I could do this without corn starch? My son has a corn allergy and I am wondering if you, or any of your readers, know of a straight replacement for the corn starch. I know my son would LOVE to get these under the tree this Christmas! Hmmm, yes the corn syrup might be a problem. Gonna have to get busy with Dr. Google and see what I can find! Thanks! If you find corn substitutes that work well, please post again! My son also has a corn allergy, but loves marshmallows. I would love to make them for him. Brown rice syrup might work for this application or agave or fructose. Good luck! I’m going to try it with potato starch or tapioca starch to replace the corn starch and I’ll use brown rice syrup for the corn syrup. 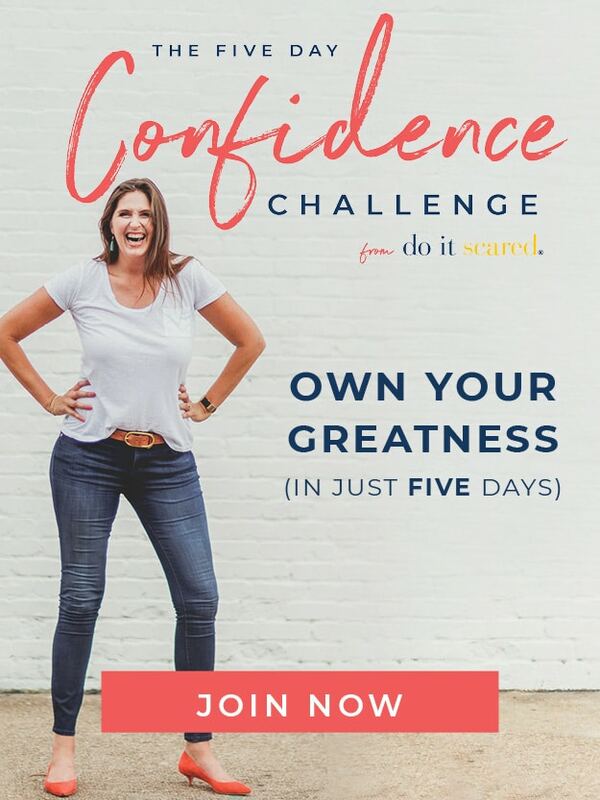 I’ll definitely let you know how it goes! You can usually evenly substitute either potato starch or tapioca starch for corn starch. I think I try the tapioca, it seems to be lighter, like the corn. Sounds so yummmyyy! Thanks for sharing with us today. Have a blessed day. This recipe looks so yummy! Around how long do you think these would stay fresh for once made? At least 4 weeks when stored in an airtight container! And if you want to add a natural green coloring, you can use, (now hear me out) chlorophyll. Most natural food stores carry it. In the vitamin section. It along with beet juice make a nice Christmassy swirl, but not too much otherwise you end up with brown. And if it’s brown but not chocolate flavored, well that is just mean. 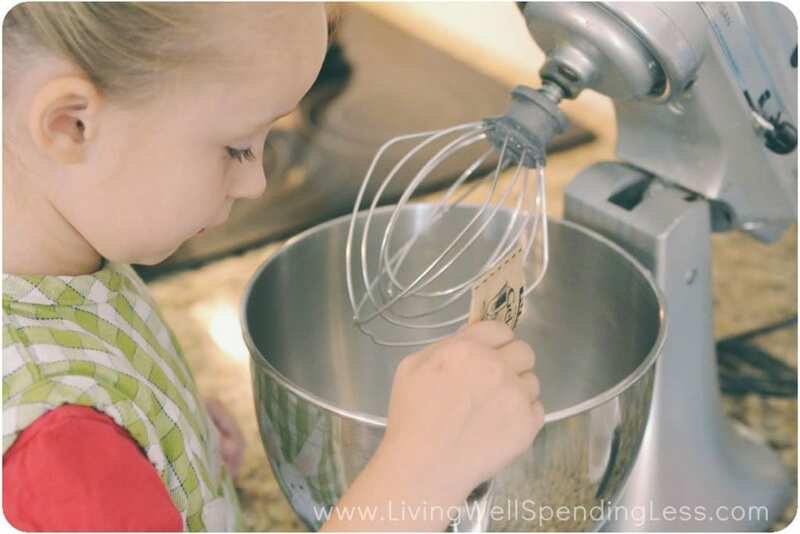 I love this idea – what a great alternative to giving more Christmas cookies! And they look so pretty! I am going to have to try these. Sharing to my FB page now! Usually I’m scared to death of anything involving hot sugar and a candy thermometer. I know…pure silliness. Ruth…you truly did make it seem doable. And as a hot chocolate lover…oh my! These would be amazing!!! Do you think it would work to use peppermint essential oil? I don’t have extract and wouldn’t really want to buy some if essential oil would work. Mmmm….I don’t think I would use essential oil. I have both peppermint extract and peppermint essential oil, and they are very different. The good news is that peppermint extract is fairly inexpensive! You could also skip the peppermint and use vanilla instead. I received some homemade marshmallows as a Christmas gift a few years ago. I was amazed how much better they taste. Instead of peppermint extract, the ones I received had almond extract in it. I love both! I now make these every year around Christmas time for gifts. I thought the candy thermometer would be intimidating, but it really isn’t. Thanks for the recipe! My daughter and I tried some fresh marshmallows at Whole Foods and loved them. We like just plain & not fans of peppermint. Should we just add 1 teaspoon of vanilla then? Thank you Ruth. Anxious to try your recipe. I just made these as plain marshmallows. I substituted vanilla extract for the peppermint extract and they are delicious. I also did not add the food coloring. My syrup took much longer than 6-8 minutes to come to 240 degrees, but I’m blaming my temperamental gas stovetop. I just made my batch they seem so short or small in height they don’t rise? Can’t figure out what I did wrong ? I used the right pan! Did you make sure to mix them for the right amount of time? I know the more air you can incorporate into the batter, the better. Now this looks like fun. The kids next door are getting these (if I can keep from eating them all myself :). I’ve always wanted to try “real” marshmallows. Thanks! I wonder how well this would work using just a handheld mixer? I dont have a stand mixer, but dont know if I could stand there and use the hand mixer for that long! lol has anyone tried?? I think this would not work well with a handheld mixer. My large stand mixer was going slower and slower as the mixture thickened toward the end of the beating time. I’m not sure a handheld mixer has the motor power to beat this properly. I use a handheld mixer and it works great! These look amazing! How long do you think they would keep? If I make them now will they still be good at Christmas? Oh nevermind, I just saw the answer above! Would you leave these uncovered or covered through the night? Looks great and will be perfect with some homemade vanilla bean caramel sauce for a hot cocoa gift! how long do the marshmallows keep? 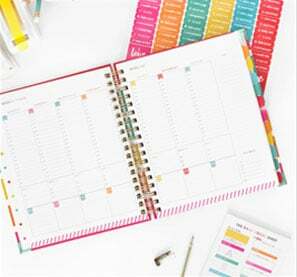 Just wondering if I make them for gifts, how early I can make them ahead of time! never made homemade marshmallows but I can’t wait!! 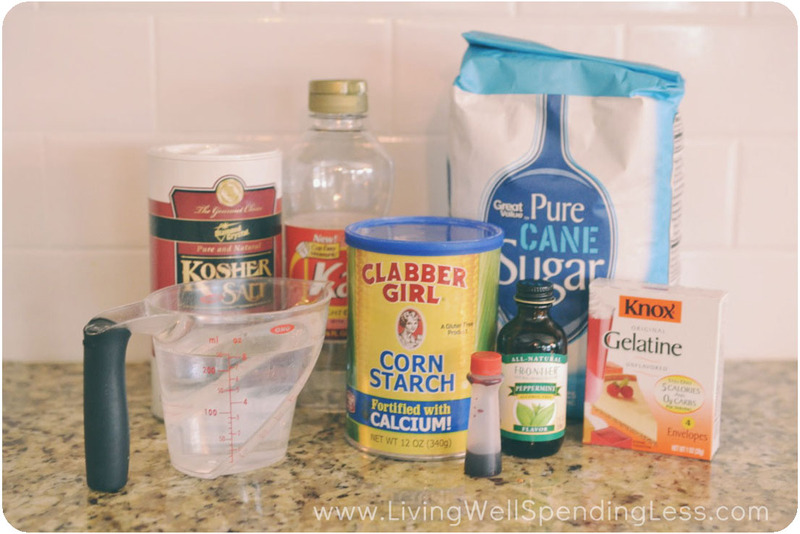 Is there any others stuff that i can use to replace gelatin?? Because am a vegetarian & cannot eat gelatin. what kind of butter is it? Salty butter? Is it white sugar? Can i use brown sugar or diet sugar? Will it give much impact to the result if i change the sugar type? I just finished making these WONDERFUL marshmallows and so far they were very easy to make and the beaters tasted amazing. My family can’t wait to try them tomorrow with our morning chocolate. Thanks for such an easy and fun recipe. BTW I used my vintage 1970 American-made Sunbeam Mixmaster and it held up just fine to the thickness of the mixture.. I think a handheld mixer could also be used, just having to hold it for 12 minutes could be taxing.